Gathering My Roses: SAKENGER HUNT! Our hunt requires taking zany photos of yourself with the sak handbags at different locations. The entrants with the most points will be eligible to WIN A GRAND PRIZE $500 GIFT CERTIFICATE to shop our website!! Check out some of our entries on our Facebook Page! 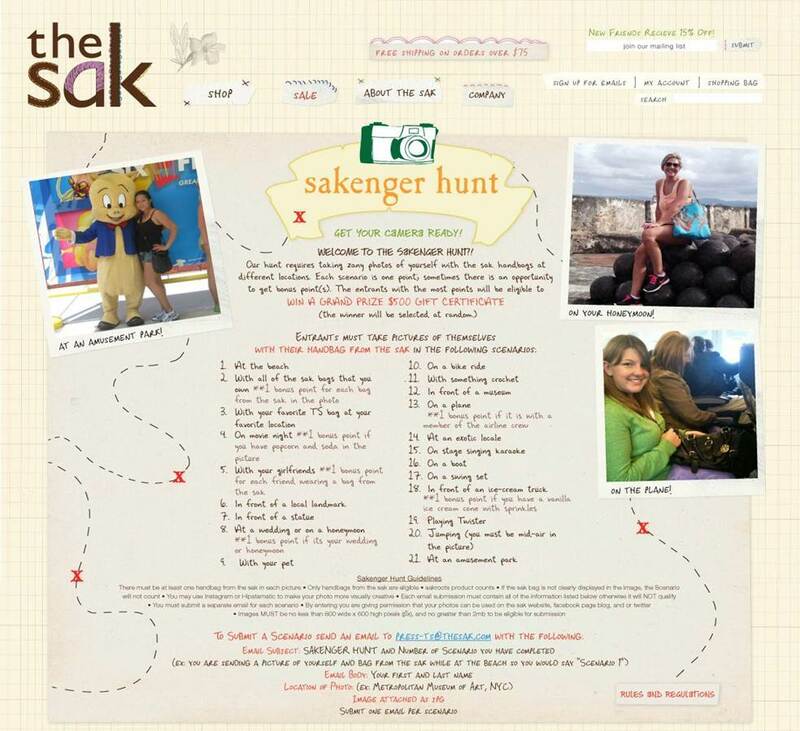 For Contest Rules and How to Enter go to: The SAKENGER Hunt!